Centre length from (approx) 107cm/42.1"
Side length from (approx) 127cm/50"
Create a chic profile with this midi length dress. 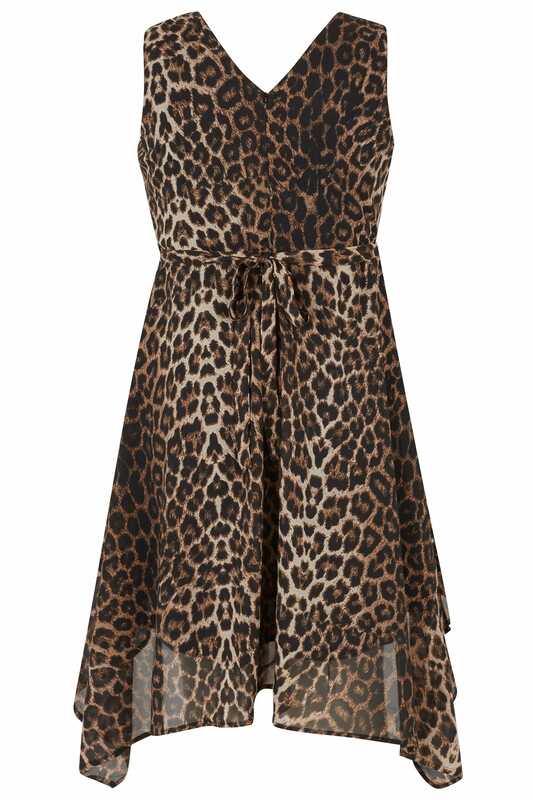 Made from a lightweight chiffon fabric, its flattering wrap style features a hanky hem, a secure rear zip fastening and a self-tie fastening for a more cinched in silhouette. To complete the look, team with a pair of high sandals and a simple clutch. 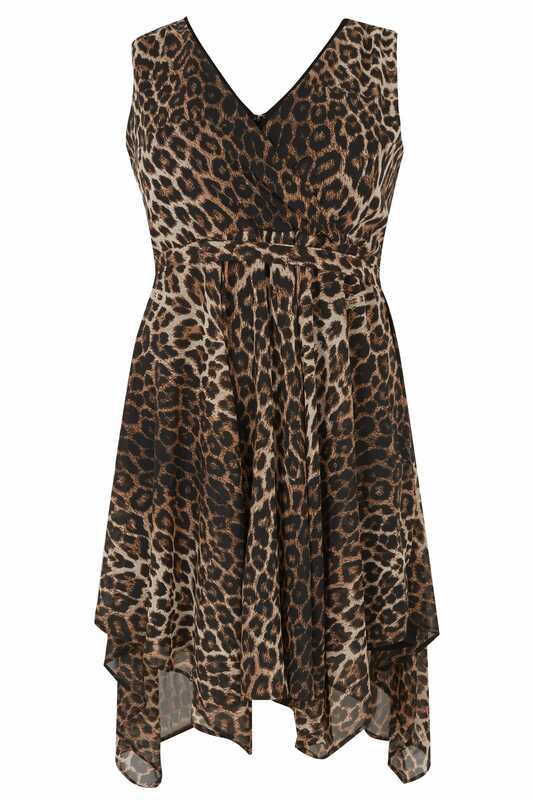 A great party option, we are loving the standout leopard print.